The scientific beauty research must be in symbiosis with the environment respect. ESTEREL is traditionally committed to be designing cruelty free cosmetics in harmony with nature. Find more about our environmental certifications and our daily pledge for the beauty of our planet. Rejuvenating Treatment Jar 50 ml NET WT. 1.6 OZ Deep Invigorating Moisturizer to help repair dry, thin and dehydrated skin. Re-Equilibrating Shampoo Organic ingredients like farnesol, chamomile and citric acid extract are the peculiar basis of this advanced hair and scalp cleanser and refresher. Vitality Anti-Age Hair Lotion 5 phials 10 ml // 0.3 FL OZ eachHair Anti-Aging Lotion, formulated to effectively treat hair loss, counteracting aging and weakening of hair and follicles. Thermal Face & Body Mask Jar 400 ml NET WT. 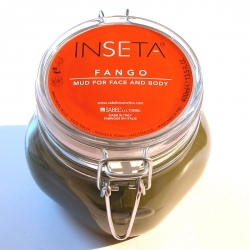 13.5 OZ.Mineral-enriched mud mask particularly designed for sensitive skin. 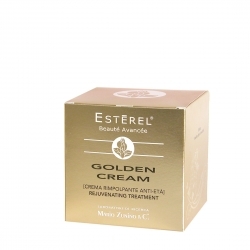 It energizes and nourishes skin cells on face and body. 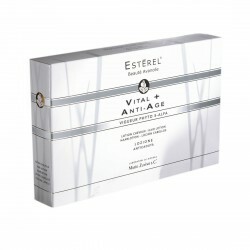 Special absorbing action unclogs pores, eliminates dead skin cells and detoxifies impurities. Skin feels comfortably hydrated, firmer and invigorated. The ESTEREL lab team can advise you on treatments and special care of hair, scalp, face and body. Contact us and we’ll recommend you the best solutions.